I painted House by the River Lethe in the fall of 2013. Having just returned from France in May of 2012, my mother was in the ER after a gastrointestinal bleed and had been diagnosed with colon cancer. I spent three or four months helping my stepfather look after her at the hospital. When she stabilized and began treatment, I went back to the Hudson Valley. That fall, my wife and I separated and began the process of divorce. For a little more context, I had recently completed Atlas and Cancer and the Tempest – two rather dark paintings about this time in my life. The house depicted in The House by the River Lethe was the first place I had ever lived alone. It was quite secluded – out in the countryside. I spent that year trying to figure out how to begin my life anew, completely alone…. and when it seemed all the world around me, all the things I thought I could depend on were in upheaval. In ancient Greek Mythology, the river Lethe flowed around the cave of Hypnos and through the underworld. The river was named after Lethe, the spirit of forgetfulness and oblivion. Anyone who drank from this river would forget everything and rest in a state of complete oblivion. More than anything else, I wanted to drink from this river to forget everything, start over with a clean slate, and make my own happiness. For a brief time I achieved it… almost as if my willpower alone was enough to overcome the gravity of the situation. 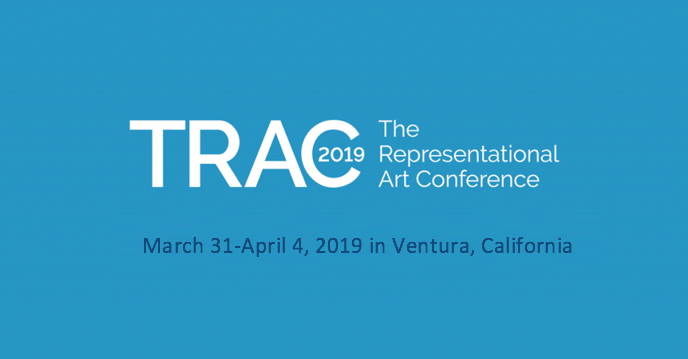 I attended TRAC, which was a wonderful experience. I started designing coins for the U.S. Mint. Several of my paintings were acquired by museums. But it wasn’t lasting because there was so much ahead that I couldn’t foresee. Honestly, I hadn’t done the work on myself to build lasting stability. This piece marked the beginning of a tumultuous phase in my life. My wife and I divorced. My mother battled cancer for the next four years before she succumbed to it. I started an artist residency that was ruined by a sociopath. I had to get a restraining order because she was threatening to kill me. I had to dissolve the residency and move secretly to another town. It was the beginning of a long process for me. The new life I have been trying to create has finally brought me stability and happiness. Surprisingly enough to me, that happiness didn’t come from forgetting at all, but from remembering, confronting, and making peace with everything. I found that I could enjoy the beautiful memories and that my soul was deep enough to feel happiness and pain at the same time. The outward stability I sought didn’t come from bending reality around me as I had thought, but from turning my focus inward and doing the hard work to grow as a person. The chair reflects the mood I’m in. Sometimes it’s levitating. Sometimes it’s as if a poltergeist has thrown it across the room. My perception of it changes, but it’s always there because of a supernatural force; specifically, it is not caused by human action. I’ve always had this philosophy that we (conscious and self-aware beings) first construct reality based upon the empirical data of our senses. But life experience has taught me that even the most objective people aren’t always capable of this. We’re just as affected by internal distortions as by our sensory perceptions. Reality is empiric and our perception is subjective. When I was living at Odd Nerdrum’s house in Paris, I experienced several events that I can’t explain scientifically. I can only describe them as supernatural. Considering myself more or less objective, I have a hard time saying it was a ghost, but I can’t find any other way to describe it. Since others experienced these same events independently, I can only guess that we all experienced some sort of group distortion. One night, I was playing chess until maybe two in the morning with Gerald (the husband of Helene Knoop) in the library – a great wood-lined room with a fireplace. We had been drinking a bit, but I was by no means drunk. It dawned on me that choral music had been playing in the background. When I paused and looked up at Gerald I saw that he heard it too and was visibly spooked. It sounded as if it was coming through the wall that separated the library from the foyer… I said that it was probably a radio that someone left on and I went to turn it off. After searching every room adjoining ours and following the sound of the boys’ choir, I came to the realization that it was emanating not from the foyer, but from the very wall itself. There were only four of us in this gated property. No one could have come in. Helene was sleeping in the guest house and my wife was sleeping upstairs. Gerald was terrified and ran back to the guest house. I went to bed as I didn’t know what else to do. The next morning, as I was walking through the foyer, something caught my eye through the windows of the large front doors. It was a blond young boy dressed in early 20th century clothing. I looked at him directly for a few seconds and turned away. When I looked back he was gone. I said nothing about it. Maybe half an hour later, my wife came into the studio and asked me who the little blond boy was outside. She had seen him in the exact same spot. I can’t say it was a ghost. I can’t say it wasn’t. I would think that it was perhaps some mold in the house that had made us hallucinate if it wasn’t for the physical events that happened. Once when the house was full of people, a Norwegian guest of Odd’s had been chopping wood in the basement when a great flood of water fell on him from the ceiling. He was soaked when he came into the library. I went down to the basement to look and there was water all over the floor, but no pipes had burst and there was no water on the ceiling. Another time, my wife’s mother had been visiting and it was just the three of us in the house. During the night when we were all asleep, she awoke to a loud crash. It was silent for awhile, so she tried to go back to sleep. Then someone started fiddling with the doorknob to her room. She thought it was us, but we were asleep. Her room was adjacent to a small studio in the Nerdum’s quarters, so I looked in there the next morning. An easel, which had been holding a mirror, had spun 180 degrees, fallen on its face, and smashed the mirror. Further, two chairs had been moved. One had spun in place and the other moved completely across the room. I checked all the windows and doors and they were all locked tight. So, I don’t know what to make of all that. It was the only time in my life when I wasn’t able to objectively explain what happened. House by the River Lethe came as an unconscious response to these events. I had just returned to America from that house and those experiences were still very fresh in my mind. I think before living there, I only painted what I saw. I painted a lot of ghosts during that time… most of them interpreted autobiographically. At that time I painted Auld Lang Syne, with a baby floating in a large fireplace and a leather jacket on a chair. What would I call this kind of art? It’s not surrealism, not exactly magic realism… it is a kind of realism. It’s painting reality through the distortion of our mind’s eye. We project meaning from our own lives onto what we observe. Something akin to anthropomorphism. In House by the River Lethe, there is a house in the background where smoke billows from the chimney. A family is sitting by the fire. Everything is cozy and stable and predictable. They’re very happy together. It’s an idyllic life that I dream of. When I painted that it seemed so far away. But now I live in the house by the fire, metaphorically speaking. That’s why I think this last painting, Safe Harbor, is metaphysical. It’s a ray of hope after an arduous journey. The House by the River Lethe is painted in oil on linen. I’m better with a brush than I am a pencil, so I go straight to using brushes on a toned ground. I employ mostly Old Holland paints. I used to paint an entire grisaille, but now I sketch the basic composition out loosely using a wipe-out technique resembling Carrière, before I go to full color. With The House by the River Lethe, I developed a technique with color. You can’t see it from the photograph, but in person you can – the grey of the wall is actually composed of two colors. I mixed two greys of the same value; one leaning toward green, one leaning toward purple. I painted the wall alternating them, almost like pointillism, but with more irregular and directional brush strokes, which is why it has a shimmering, atmospheric effect. I used the same principle on the floor… really across the entire surface. Alternating between warm and cool, shifting the values and hues depending. It’s something of a compressed impressionism that allows me to paint the air in the room.